Decide how many Vampire Mickeys you will need. 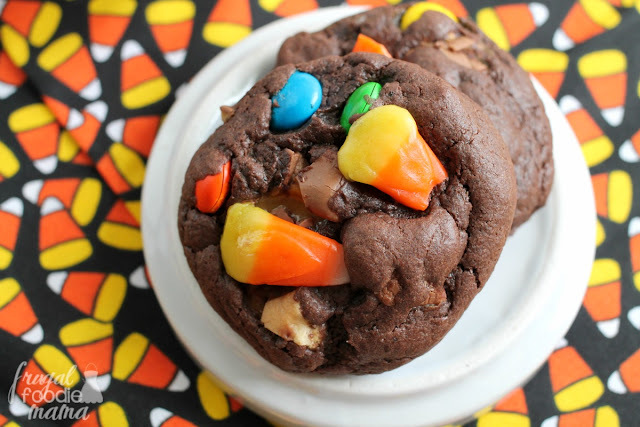 Will you be making these for a small get-together, a school party, or to hand out at trick-or-treat? Separate as many large Oreos as you need Mickeys. Make sure the cream filling stays intact on one side of the cookie. 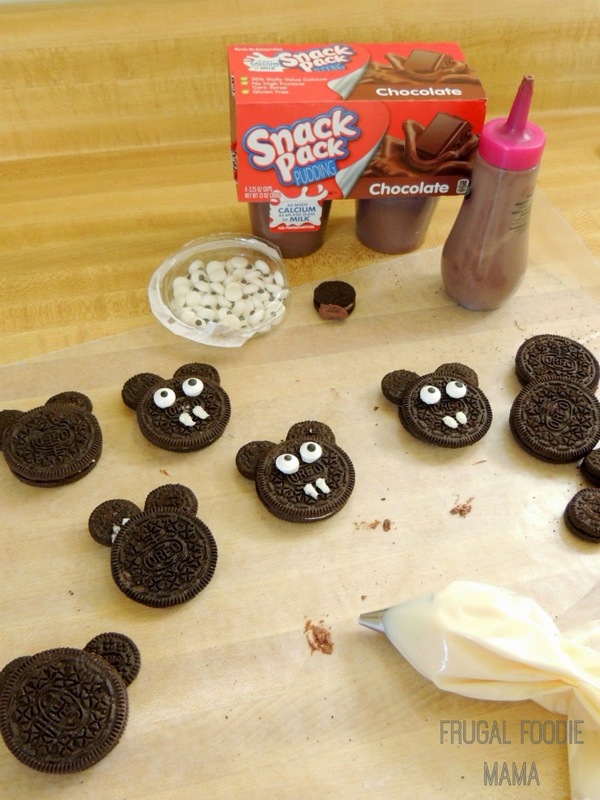 Then separate 1 mini Oreo for each Mickey Vampire you need. Scrape off the cream filling from the minis. Set aside on a large sheet of waxed paper. Place some of the white frosting into an icing bag fitted with an icing tip with a small round opening. Set aside. Pipe a little of the melted chocolate to the bottom of the front of the mini Oreos (aka, the ears). "Glue" them to the inside of the Oreo half without cream filling. Press down and allow to set up for a few minutes. Gently press the other half of the Oreo, cream side down over the bottom of the mini Oreos. Pipe the white frosting into two dots for the eyes. Affix your candy eyes over the frosting dots. Now pipe two small vertical lines where the mouth would be to make Mickey's vampire fangs. Allow to set up for at least 20 minutes. Repeat this for each Vampire Mickey. 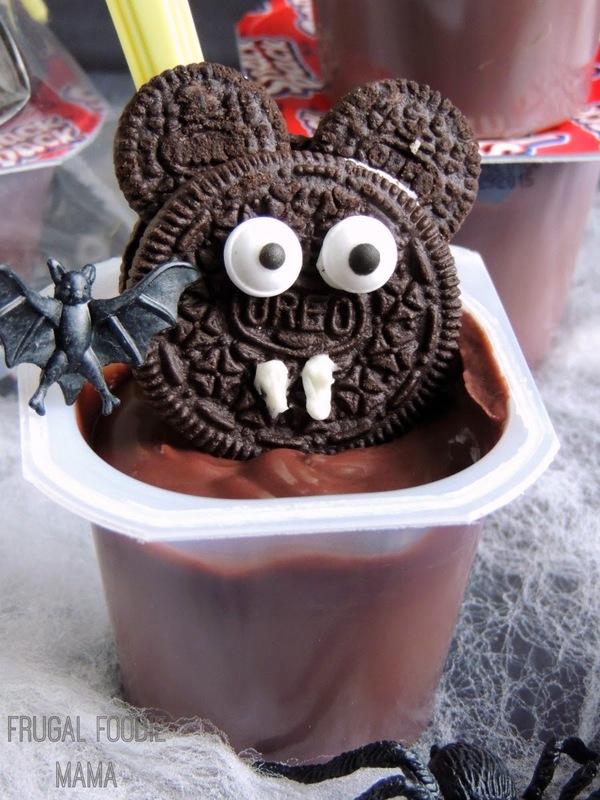 Place each Snack Pack pudding cup down inside a Halloween themed cupcake liner. Place the cup with the liner down into a treat bag or plain plastic baggies. 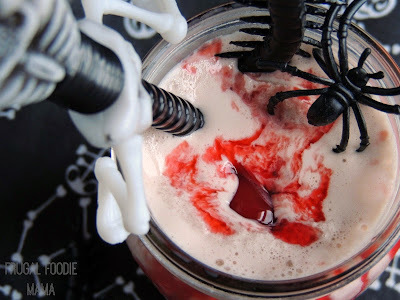 Place 1 Vampire Mickey on top of the pudding cup. Slide one plastic spoon, handle up behind the Snack Pack pudding cup. Gather at the top and tie with a ribbon or with baker's twine. Hand out, serve, and enjoy! 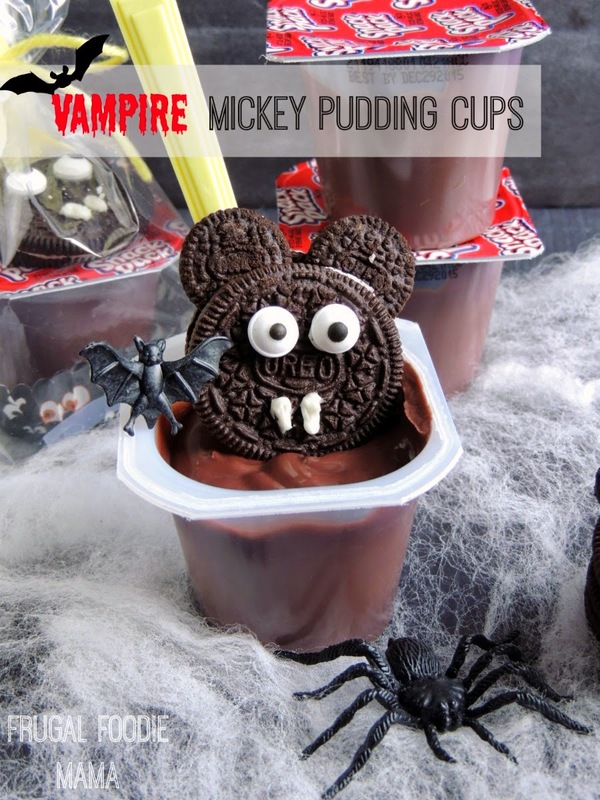 Little miss just loved these Vampire Mickeys & dipping them into her Snack Pack Chocolate Pudding Cup! :) And I could feel good about giving her this sweet treat since a cup of Snack Pack pudding has the same amount of calcium as an 8 ounce glass of milk. With all the sweet treats and candies out there during the Halloween season, the are definitely bigger evils out there. 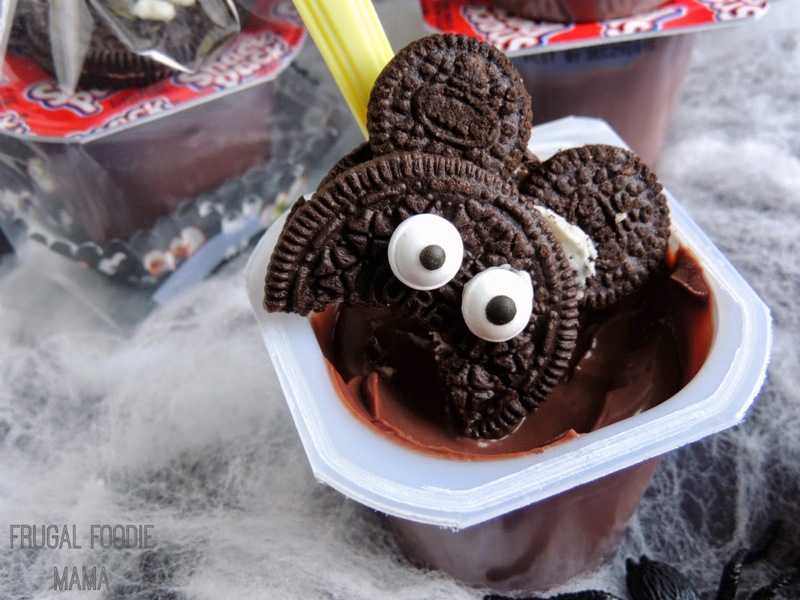 These easy to make Halloween Snack Pack pudding cups would be perfect to hand out at trick-or-treat, for a classroom party, or a fun neighborhood get-together. 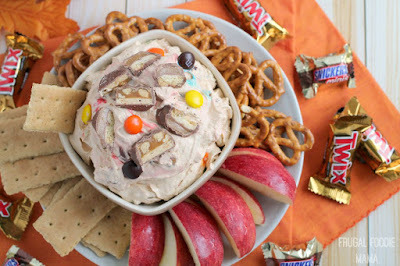 Or just make a few to enjoy at home with the kiddos.